To create and edit content you need Question Tools Editor. Editor is visual — just draw your screen and question! You can set simple or complex marking, set time limits, and even allow your users to try difficult question again. 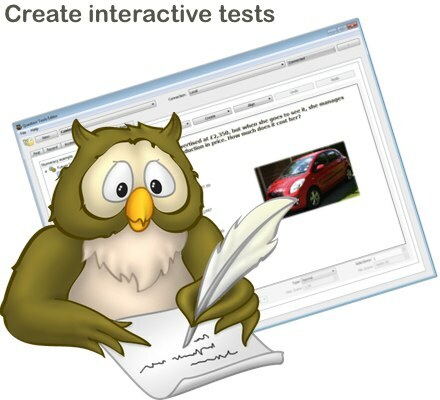 When Editor is used with our Instant Plus or QT Powered package you can edit the tests provided with the service, as well as create your own lessons, surveys and tests. Editor can also be used for free to create tests and lessons that can be uploaded to any website. This is part of our continung efforts to support trainers and educators everywhere, but particularly in developing countries. The limitation of Editor when used for free is that results are not automatically collected and analysed. More information can be found at www.questiontools.org.